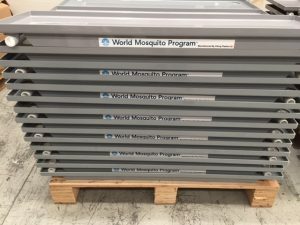 Viking Plastics has recently assisted the World Mosquito Program in the development of a mosquito rearing tray. The World Mosquito Program (WMP) is a not-for-profit organisation based at Monash University. WMP works to protect the global community from deadly mosquito-borne diseases such as Zika, dengue and chikungunya. 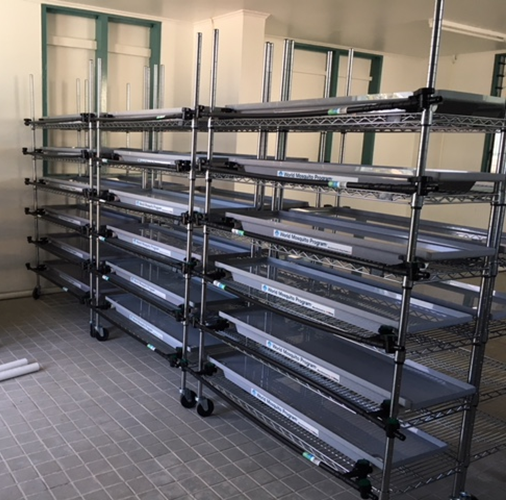 Pioneered by Australian researchers, the WMP is a mass-breeding program that introduces safe and natural bacteria, Wolbachia, into the mosquito breeding cycle. When mosquitoes are bred to carry Wolbachia, they have a reduced ability to transmit deadly viruses. Wolbachia carrying mosquitoes are released into areas to breed with existing virus carrying mosquitoes. The offspring carry Wolbachia. Viking worked very closely with Dr Albert Joubert, Product Development Manager, WMP, to help design the mosquito rearing tray. Natural larval sites provide some guidance for mass-production of larvae. In nature, mosquito larvae are associated with shallow, small, and temporary habitats such as foot or hoof prints, rain pools, puddles, tire tracks, and garden wells. The mosquito rearing tray was designed to provide a large surface area of shallow water (≈2 cm) that would closely mimic natural breeding sites. The grey trays were closely stacked into racks to maximise use of space to reduce construction, heating and cooling costs. Viking Plastics was very proud to work with the World Mosquito Program. 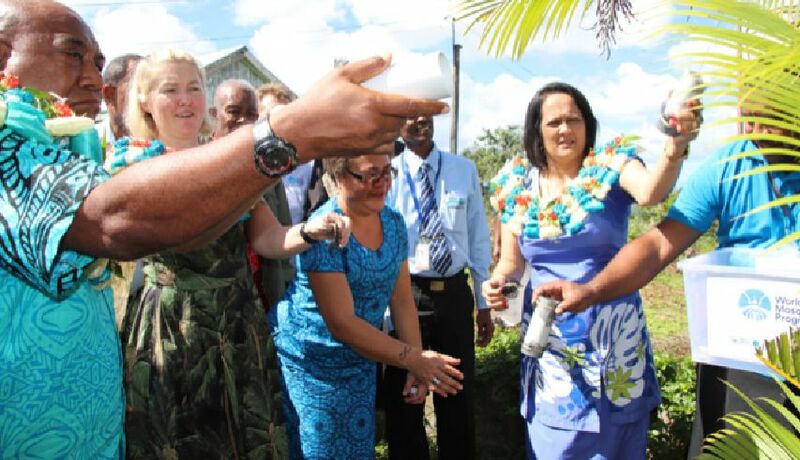 In recognition of the WMP’s work to eradicate dengue in many underdeveloped nations, Viking Plastics manufactured 220 mosquito rearing trays, plus associated fittings, at cost. 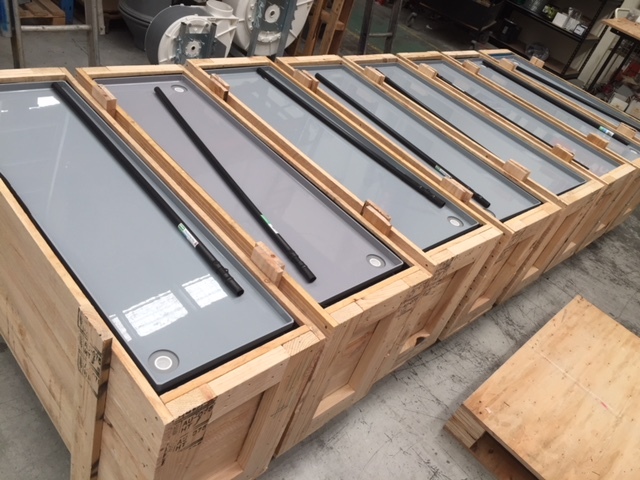 The trays were 1250 x 350 x 25mm and fabricated using PVC. The trays were packed into crates and sent to various destinations in the South Pacific. 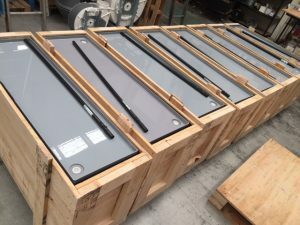 Got a project that requires custom plastic fabrication? There’s a good chance Viking Plastics will say “yes” and be the manufacturer you’re looking for. Call Viking Plastics on +61 3 9587 2297 to discuss your ideas.